« Waxman Group launches an academy for solar installers in Elland, West Yorkshire. Last week, Discover Solar team decided to visit 2012 Ecobuild exhibition, which ran from Tuesday to Thursday at the ExCel Centre in London, and know more about what’s next in the UK solar industry. - The new Azur Independa battery storage and energy management system, presented by Azur Solar, allows customers to become almost independent from conventional energy sources and rising prices by storing additional solar energy for use outside of sunlight hours. The product, which is working in German Solar market and will be available in the UK around 2013, also manages the energy generated ensuring the customer gets the most from every kilowatt by deciding whether it’s best to use the energy, store it or feed it back to the grid. - The AURORA ULTRA, lauched by Power-One, offers power conversion efficiencies of up to 98.7 percent over a wide input voltage range. With the plans for large-scale solar in this next 2012 -rumors of new 30MW or even 40MW parks are beginning to emerge- this is more than a good new for this big scale inverters. - SunBloc, by HelioMet team, is a sustainable house powered entirely by the Sun. Using the latest techniques in digital design and innovative manufacturing, this energy efficient house will demonstrate alternatives in sustainable urban living. HelioMet team will entry Solar Decathlon Europe 2012 this next September thanks to the London Metropolitan University, as the only candidate from the UK. In addition, as expected, we also found lots of information about solar sector in general: lectures, practical advice and presentations everyday. 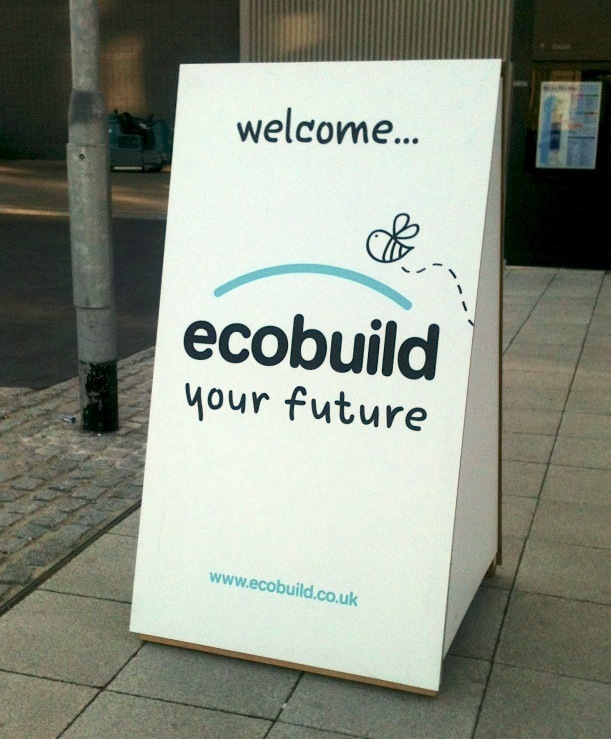 Obviously, this is only a little bit of the great amount of things you can find in an event as Ecobuild. We left the ExCel Centre knowing that there is still a long way to the get the best of solar energy, but we are sure that solar industry is definitely on the right track.